The Tim Clarke Soul-tet is an exciting new Buffalo NY-based acoustic jazz quintet focused on bringing the dynamic sounds of the 1960’s and 1970’s soul-jazz to new life. 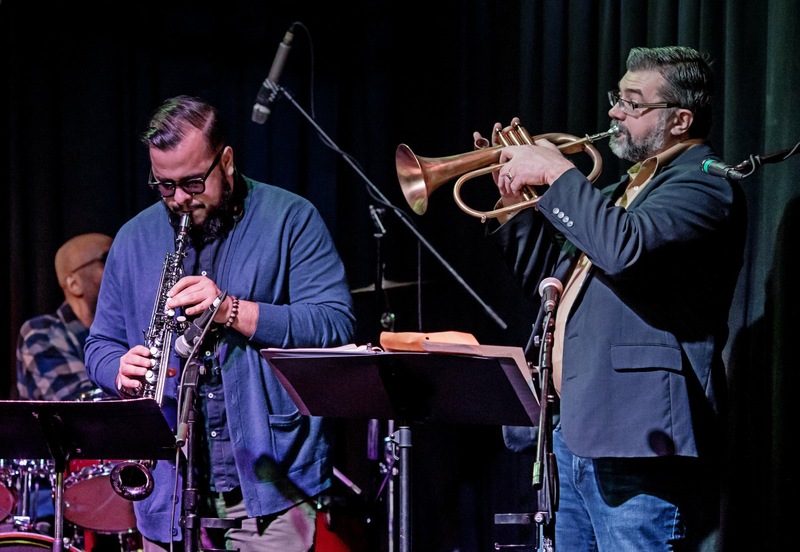 Formed by award-winning trumpeter Tim Clarke and bassist Ed Croft in 2017, the group features Buffalo jazz legend Darryl Washington on drums, local favorite Nelson Rivera on saxophones and percussion, and rising star Harry Graser on keyboards. Musically, the Soul-tet brings to life an ever-expanding catalog of rare soul-jazz gems that have been carefully selected and meticulously transcribed for the Soul-tet by Clarke. Fans of soul-jazz and rare grooves will be delighted to hear lesser-known works by Kenny Barron, Donald Byrd, and Tom Harrell, Weldon Irvine, Blue Mitchell, Lee Morgan, Duke Pearson and many other jazz greats. The Tim Clarke Soul-tet currently holds down a monthly gig (3rd Saturday from noon-2pm) at the Sportsman’s Tavern as well as regular evening performances at popular local venues such as Pausa and Nietzche’s.